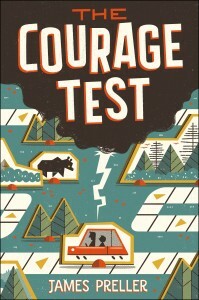 Booklist Gives Starred Review to THE COURAGE TEST! 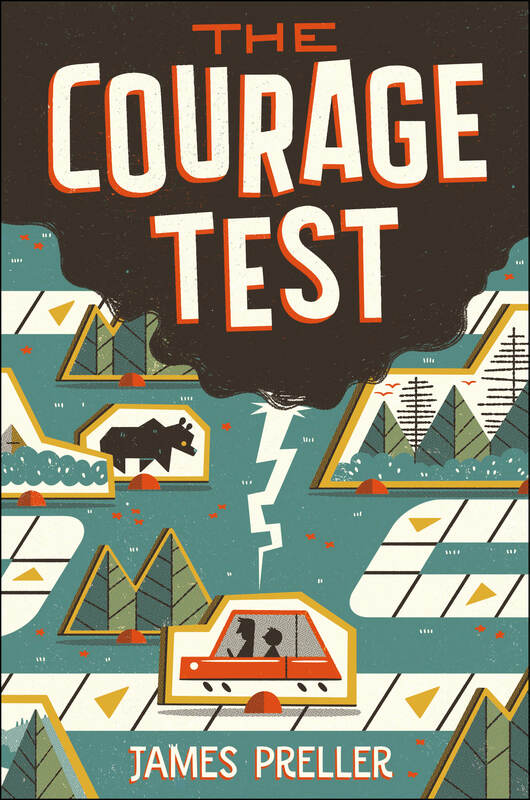 I am thrilled to share the terrific news that the good folks at Booklist, particularly long-time reviewer John Peters, just gave The Courage Test a killer review — and a great big star. Note: I will backtrack to provide a link as soon as one becomes available. In the meantime, you’re just going to have to trust me. I am not making this up. A great review is a fine thing, of course. But outside of what it means to me as an author (validation! affirmation! ), or for my book (massive sales! yachts! librarians! ice cream sundaes! ), it’s simply an impressive writing feat, a true literary skill. In limited space, Peters concisely, cogently manages to articulate so much of the book’s content. No easy task. A tip of the hat to Mister Peters. I’m really glad you liked the book. Preller stirs doses of American history into a first-rate road trip that does traditional double-duty as plot device and coming-of-age metaphor. Will is initially baffled and furious at being abruptly forced to accompany his divorced father, a history professor, on a long journey retracing much of the trail of Lewis and Clark. The trip soon becomes an adventure, though, because as the wonders of the great outdoors work their old magic on Will’s disposition, his father and a Nez Perce friend (who turns out to be a Brooklyn banker) fill him in on the Corps of Discovery’s encounters with nature and native peoples. Also, along with helping a young runaway find a new home, Will survives a meeting with a bear and a spill into dangerous rapids—tests of courage that will help him weather the bad news that awaits him at home. Despite the many plot threads, the story never seems overstuffed or weighed down by agendas. Leading a cast of appealing characters Will and his father are both vulnerable sorts who share a damaged, uneasy bond that firms up with realistic slowness and occasional backsliding. Additionally, not only does the author slip cogent historical facts and insights into his simply told narrative without disturbing its flow, he offers more detail, plus sources of information, in an afterword.